There are countless categories of living beings …. who live according to destiny …. based on Laws of Nature…. Only human beings can improve destiny …. 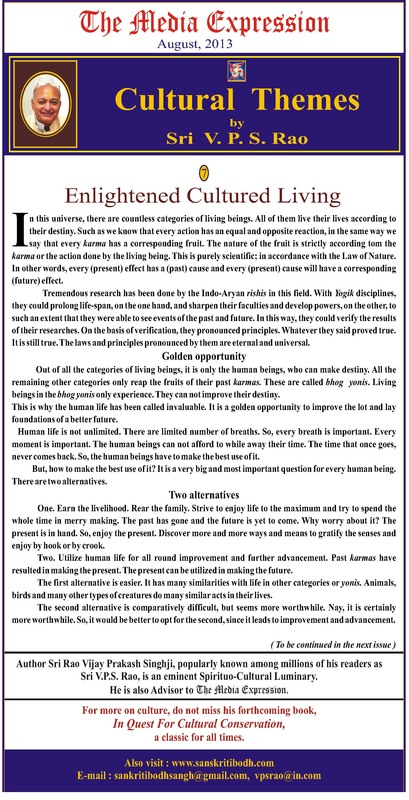 Fascinating research done by Rishis for welfare of humanity …. Two options for human beings to decide the course of their lives. The Media Expression ; August , 2013.